Every eye is unique, they come in all different shapes and sizes, some steeper, some flatter, some larger, some smaller, and with varying degrees of astigmatism from a little to a lot. And this, before you enter the complex world of prescription from short sighted to long, and the challenges of managing presbyopia. Every eye is unique, and mark’ennovy we believe that deserves to be celebrated and that every patient, for every prescription, should get a contact lens that precisely matches their own unique eye shape and vision requirements. For 18 months now we have been going that extra mile to help Eye Care Professionals show their patients just how special and unique their eyes are. 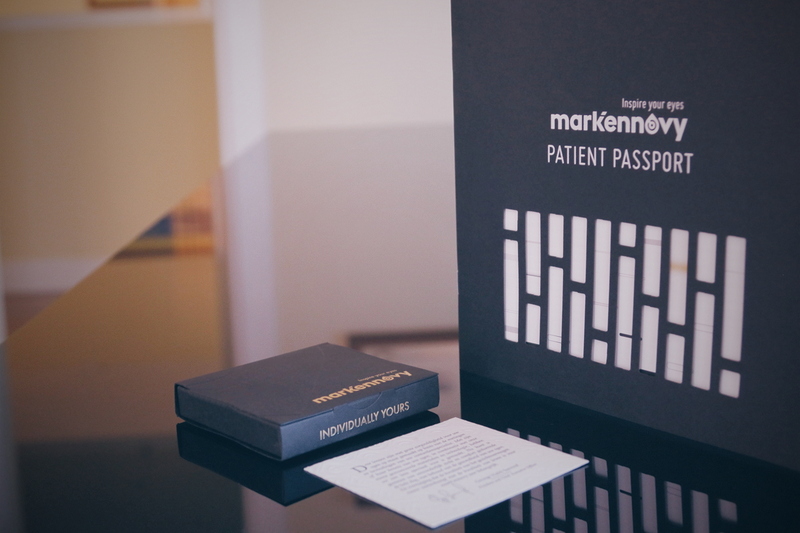 When supplied with the patient’s name at the same time as order, we will engrave it onto the side of the box and then place the lenses into a nice presentation box with a little note from our Chairman and founder of the company.